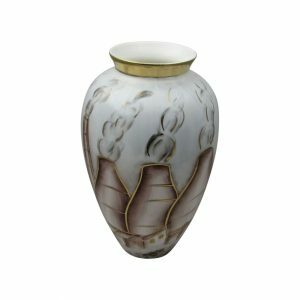 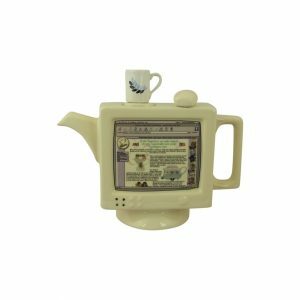 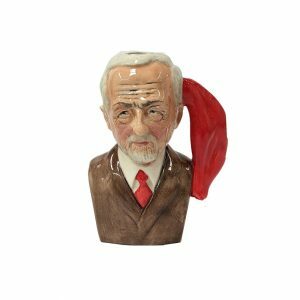 Stoke Art Pottery has been promoting and selling Political Character Toby Jugs and Political figurines for many years. 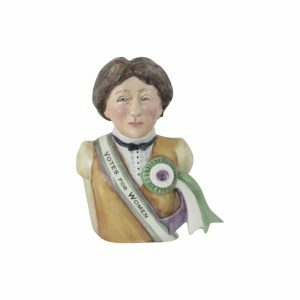 And we have a wide selection of political figures for all political parties available – click to view. We are delighted to present our own commission of The Oh Jeremy Corbyn Toby Jug which has already received a great deal of exposure on the TV, Radio and in newspapers. 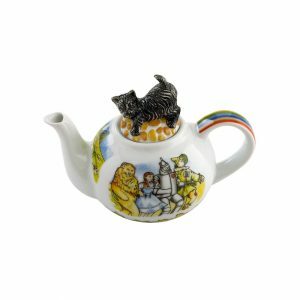 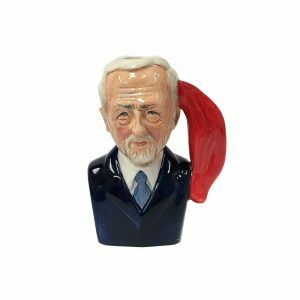 The Oh Jeremy Corbyn Toby Jug came from an idea by Alexander Kirk and commissioned through Stoke Art Pottery. 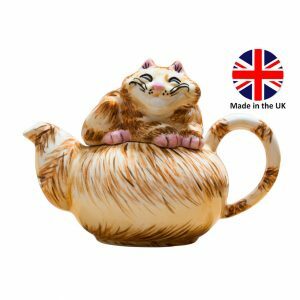 You can learn more about the story of the jug at the CorbynJug.co.uk web site. 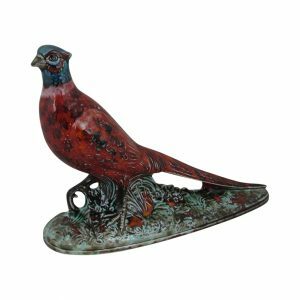 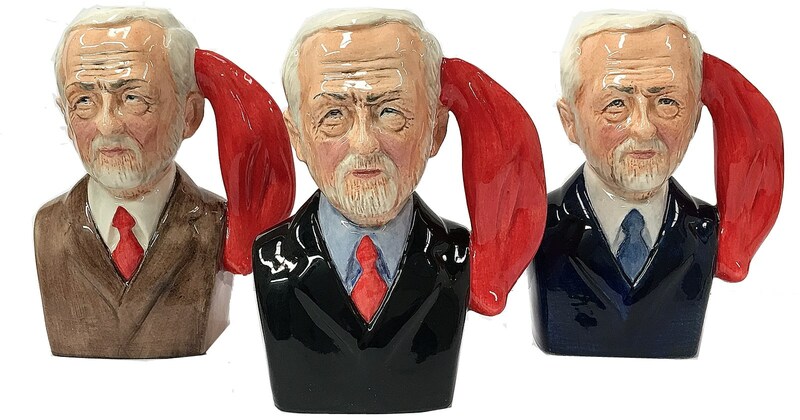 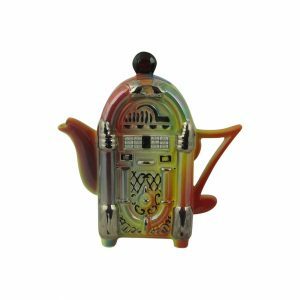 The Oh Jeremy Corbyn Toby Jug is available in three colourways: an open edition of black jacket and red tie (priced at £32.95); and two limited editions of 500 being a brown jacket and red tie and blue jacket and blue tie (priced at £36.95). 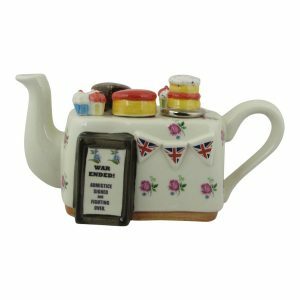 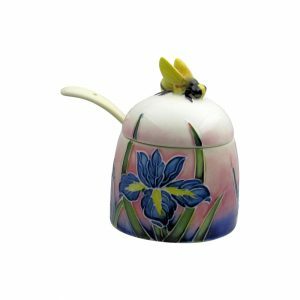 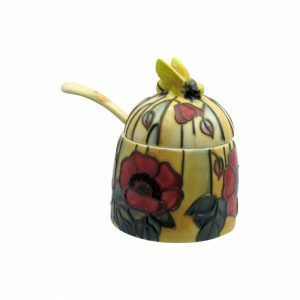 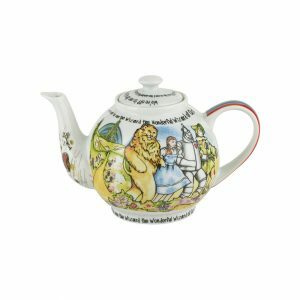 All the jugs are handmade and hand painted in the UK at Stoke on Trent.